One of the most influential album years ever, Classic Rock Review looked at the year 1967, during the summer of 2012. During 1967, some of the highest regarded and timeless music ever was produced and released, as the outer limits of the rock n roll universe were pushed into rich and entertaining fusions of genres and frontiers of technology. 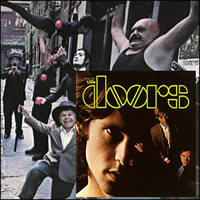 There were two great albums put out by The Beatles that year, as well as a new band from California called The Doors. Many of the most vital acts of the sixties were in their prime, including Cream, Jimi Hendrix, and Love. Several more were just getting started with long and fruitful careers, including Pink Floyd, The Grateful Dead, and Jefferson Airplane. The Doors came out of the gate with back-to-back fantastic albums. Starting with their classic debut The Doors in January and the equally impressive Strange Days in September, 1967 was the absolute peak of the band’s creative output and set the foundation for their timeless legacy. 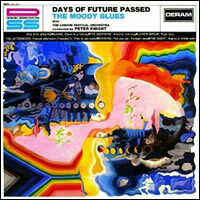 Days of Future Passed an original hybrid of orchstral and rock arrangements by The Moody Blues, held together as a true concept album. Although the album is a bit “bottom heavy”, with the finest material later in the album, it is an interesting presentation throughout. 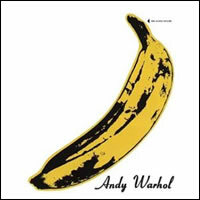 Perhaps the album with the single biggest gap between initial commercial success and ultimate historical relevance, The Velvet Underground & Nico has become a legendary fountianhead of influence and inspiration on the punk and new wave explosions of a decade later. 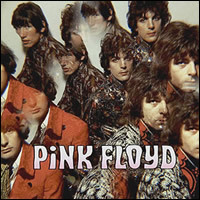 The Piper At the Gates of Dawn is the debut album by Pink Floyd, and the sole album with the band’s original leader Syd Barrett. The album contains whimsical lyrics about space, scarecrows, gnomes, bicycles and fairy tales, along with psychedelic instrumental songs. 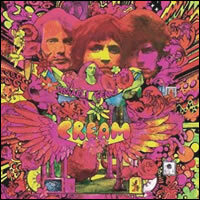 The British trio Cream was only together for a few years in the late 1960s but they left a strong legacy and cast a huge shadow of influence on the genre that became known as classic rock. 1967’s Disraeli Gears fused the core genres of jazz and blues with a heavy dose of sixties pop and jusr a touch of psychedlia. 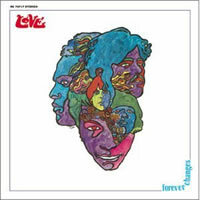 Forever Changes is the crowining achievement by the folk-rock band Love and their visionary leader Arthur Lee. While it was far from a commercial success, many believe it to be one of the core reflective works of the “summer of love” (no pun intended). Between the Buttons is a nice mixture of hard rock and pyschedelia by The Rolling Stones. It is the final album to have strong musical arrangement input by founding member Brian Jones as the band morphed from their earliest phase into the Jagger-Richards dominated era of the band. There has never been (nor probably will ever be) a year in which a single band produced so much quality material as The Beatles did during the year 1967. We’ve done extensive reviews of both the Sgt. 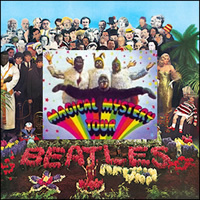 Pepper’s Lonely Hearts Club Band and Magical Mystery Tour albums along with a look at all the rest of the band’s output from that year. 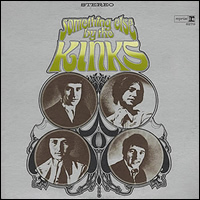 Something Else by The Kinks was a transitional album which straddled the riff-driven pop songs of their early years and the more artful compositions of the band’s “middle” era. The album is the first co-produced by guitarist, lead vocalist and chief songwriter Ray Davies. 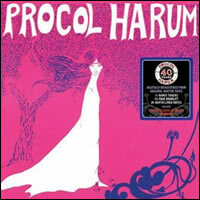 The originality and pleasant dynamics of Procol Harum’s earliest sound is captured on their debut album. It contains a sound which combines centuries-old classical and baroque elements with the then-modern day moody-ish soul and makes it all work nicely. 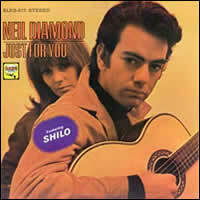 Neil Diamond straddled the worlds on 1960s pop music and the 1970s singer/songwriter. Although never quite recognized as a great album, Just For You may be the one original album by Neil Diamond which best reflects his most prolific songwriting period. 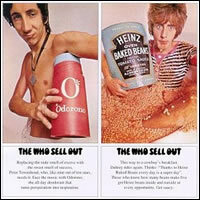 Although not as coherent and focused as the band’s next three albums (which were the three finest of their career), The Who Sell Out definitively shows where The Who was heading by the end of 1967. This unique album tied to the songs together with commercial jingles and public service announcements. 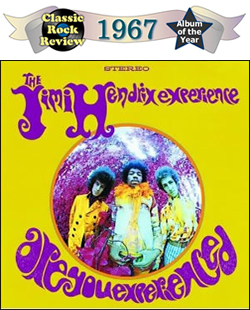 An extraordinary debut by The Jimi Hendrix Experience, Classic Rock Review has named Are You Experieinced? as our Album of the Year for the phenominal music year of 1967. On this album, the sound is harder and heavier than anything else from 1967, yet it is not in the slightest bit unfocused, and it has become one of the all-time classics. Review of Are You Experienced? 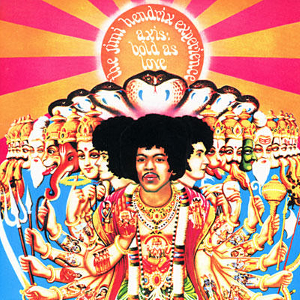 The second album by the Jimi Hendrix Experience features a collection of solid tunes, inventive studio production, and interactive among the trio. The album fuses elements of blues, jazz, heavy rock and pyschedelic to forge a unique sound. 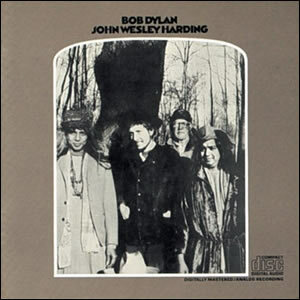 Bob Dylan returned from an extended hiatus with the quiet and simple late 1967 record, John Wesley Harding.The album fuses the rustic sounds of country, folk, and Gospel with lyrics drawn from multiple sources including rural myths, folklore and Biblical passages. Q: What is the best album of 1967? 1967 was one of the most innovative years in rock history and the first year where the classic rock album really came to maturation. There were also many debuts by artists who would make a big splash in future years, such as David Bowie, Traffic, Van Morrison, Cat Stevens, and The Grateful Dead. It was also the year which saw the final album by The Yardbirds. All great albums here but Jefferson Airplane is missing! They released two great albums in 1967 – Surrealistic Pillow and After Bathing at Baxters. Pure classic rock. I was 15 when they were released and still favorites 50 years later.